To understand container terminology, it’s important to understand exactly what a container is – with technical precision. A container is really two different things. Like a normal Linux program, containers really have two states – rest and running. When at rest, a container is a file (or set of files) that is saved on disk. This is referred to as a Container Image or Container Repository. When you type the command to start a container, the Container Engine unpacks the required files and meta-data, then hands them off to the the Linux kernel. Starting a container is very similar to starting a normal Linux process and requires making an API call to the Linux kernel. This API call typically initiates extra isolation and mounts a copy of the files that were in the container image. Once running, Containers are just a Linux process. The process for starting containers, as well as the image format on disk, are defined and governed by standards. Move faster with quick references and examples for container architecture, engine, image, registry, volume, and related commands. 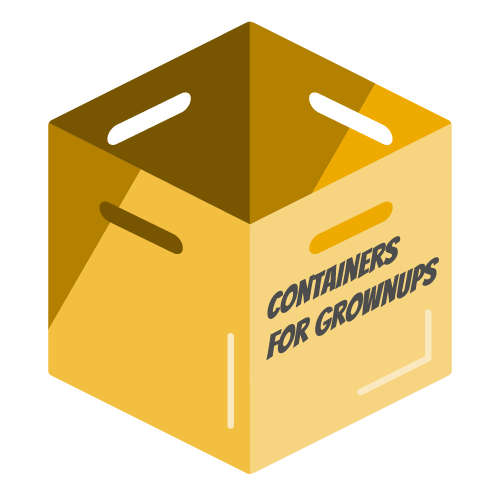 There are several competing Container Image formats (Docker, Appc, LXD), but the industry is moving forward with a standard governed under the Open Container Initiative – sometimes referred to simply as Open Containers or the OCI. The scope of the OCI includes a Container Image Format Specification, which defines the on-disk format for container images as well as the meta-data which defines things like hardware architecture and the operating system (Linux, Windows, etc). An industry wide container image format enables ecosystems of software to flourish – different individual contributors, projects, and vendors are able to build images and tooling, which are interoperable. Users want interoperability between tools for signing, scanning, building, running, moving and managing container images. There are also several competing Container Engines including Docker, CRI-O, Railcar, RKT, LXC. These Container Engines take a Container Image and turn it into a Container (aka running processes). How this happens is governed by the scope of the OCI which includes a Container Runtime Specification and a Reference Runtime Implementation called RunC. This reference implementation is open source, governed by a community development model, and commonly used by many container engines to communicate with the host kernel when creating containers. Tools which target the OCI Container Image Format Specification and Container Runtime Specification ensure portability between a broad ecosystem of container platforms, container engines, and supporting tools across cloud providers and on premise architectures. Understanding the nomenclature, container standards, and the architecture of the building blocks of containers, will ensure that you can communicate with other architects to build scalable & supportable containerized applications and environments to productively run containers for years to come. A container image, in its simplest definition, is a file which is pulled down from a Registry Server and used locally as a mount point when starting Containers. The container community uses “container image” quite a bit, but this nomenclature can be quite confusing. Docker, RKT, and even LXD, operate on the concept of pulling remote files and running them as a Container. Each of these technologies treats container images in different ways. LXD pulls a single container image (single layer), while docker and RKT use OCI-based images which can be made up of multiple layers. Technically, it is much more complicated than a single file on a Registry Server. When people use the term “container image,” they often mean to imply Repository and referring to a bundle of multiple container Image Layers as well as metadata which provides extra information about the layers. Implicit in the concept of a container image is the concept of a Container Image Format. See Container Image and Background. Historically, each Container Engine had its container images format. LXD, RKT, and Docker all had their own image formats. Some were made up of a single layer, while others were made up of a bunch of layers in a tree structure. Today, almost all major tools and engines have moved to a format defined by the Open Container Initiative (OCI).This image format defines the layers and metadata within a container image. Essentially, the OCI image format defines a container image composed of tar files for each layer, and a manifest.json file with the metadata. The Open Container Initiative (OCI), which was originally based on the Docker V2 image format, has successfully unified a wide ecosystem of container engines, cloud providers and tools providers (security scanning, signing, building and moving). This will help protect users as the invest in knowledge, and tooling in their environments. A container engine is a piece of software that accepts user requests, including command line options, pulls images, and from the end user’s perspective runs the container. There are many container engines, including docker, RKT, CRI-O, and LXD. Also, many cloud providers, Platforms as a Service (PaaS), and Container Platforms have their own built-in container engines which consume Docker or OCI compliant Container Images. Having an industry standard Container Image Format allows interoperability between all of these different platforms. For an even deeper understanding, please see Understanding the Container Standards. See also Container Runtime. Containers have existed within operating systems for quite a long time. A container is the runtime instantiation of a Container Image. A container is a standard Linux process typically created through a clone() system call instead of fork() or exec(). Also, containers are often isolated further through the use of cgroups, SELinux or AppArmor. The container host is the system that runs the containerized processes, often simply called containers. This could be, for example, RHEL Atomic Host running in a VM, as an instance in the public cloud, or on bare metal in your data center. Once a container image (aka repository) is pulled from a Registry Server to the local container host, it is said to be in the local cache. A registry server is essentially a fancy file server that is used to store docker repositories. Typically, the registry server is specified as a normal DNS name and optionally a port number to connect to. Much of the value in the docker ecosystem comes from the ability to push and pull repositories from registry servers. When a docker daemon does not have a locally cached copy of a repository, it will automatically pull it from a registry server. Most Linux distributions have the docker daemon configured to pull from docker.io but it is configurable on some Linux distributions. For example, Red Hat Enterprise Linux is configured to pull repositories from registry.access.redhat.com first, then it will try docker.io (Docker Hub). It is important to stress that there is implicit trust in the registry server. You must determine how much you trust the content provided by the registry and you may want to allow or block certain registries. In addition to security, there are other concerns such as users having access to licensed software and compliance issues. The simplicity with which docker allows users to pull software makes it critical that you trust upstream content. Red Hat also offers an integrated Registry Server with OpenShift Container Platform, a standalone enterprise Registry Server with Quay Enterprise, as well as cloud based, public and private repositories on Quay.io. Often teams start with installing a Container Host, then pulling some Container Images. Then they move on to building some new Container Images and pushing them to a Registry Server to share with others on their team. After a while they want to wire a few containers together and deploy them as a unit. Finally, at some point, they want to push that unit into a pipeline (Dev/QA/Prod) leading towards production. This is the path towards the realization that orchestration is needed. Dynamically schedules container workloads within a cluster of computers. This is often referred to as distributed computing. There are many container schedulers being developed in the community and by vendors. Historically, Swarm, Mesos, and Kubernetes were the big three, but recently even Docker and Mesosphere have announced support for Kubernetes – as has almost every major cloud service provider. Kubernetes has become the defacto standard in container orchestration, similar to Linux before it. If you are looking at container orchestration, Red Hat recommends our enterprise distribution called OpenShift. A container runtime a lower level component typically used in a Container Engine but can also be used by hand for testing. The Open Containers Initiative (OCI) Runtime Standard reference implementation is runc. This is the most widely used container runtime, but there are others OCI compliant runtimes, such as crun, railcar, and katacontainers. Docker, CRI-O, and many other Container Engines rely on runc. To provide a bit of history, when the Docker engine was first created it relied on LXC as the container runtime. Later, the Docker team developed their own library called libcontainer to start containers. This library was written in Golang, and compiled into the original Docker engines. Finally, when the OCI was created, Docker donated the libcontainer code and turned it into a standalone utility called runc. Now, runc is the reference implementation and used by other Container Engines such as CRI-O. At the lowest level, this provides the ability to start a container consistently, no matter the container engine. Runc is a very terse utility and expects a mount point (directory) and meta-data (config.json) to be provided to it. See this tutorial for more on runc. Repositories are often referred to as images or container images, but actually they are made up of one or more layers. Image layers in a repository are connected together in a parent-child relationship. Each image layer represents changes between itself and the parent layer. Below, we are going to inspect the layers of a repository on the local container host. Since Docker 1.7, there is no native tooling to inspect image layers in a local repository (there are tools for online registries). With the help of a tool called Dockviz, you can quickly inspect all of the layers. Notice that each layer has tag and a Universally Unique Identifier (UUID). The following command will returned shortened versions of the UUID that are typically unique enough to work with on a single machine. If you need to the full UUID, use the –no-trunc option. Repositories are constructed this way because whenever an image builder creates a new image, the differences are saved as a layer. There are two main ways that new layers are created in a repository. First, if building an image manually, each “commit” creates a new layer. If the image builder is building an image with a Dockerfile, each directive in the file creates a new layer. It is useful to have visibility into what has changed in a container repository between each layer. Even though a user can designate that a container mount and start from any layer in a repository, they shouldn’t necessarily do that. When an image builder creates a new repository, they will typically label the best image layers to use. These are called tags and are a tool for container image builders to communicate to container image consumers which layers are best to consume. Typically, tags are used to designate versions of software within in the repository. This is by convention only – in reality, the OCI nor any other standard mandates what tags can be used for, and they can be abused for anything that a user wants. Be careful dong this because it can create a lot of confusion in development, operations and architecture teams, so document it it well if you use it for anything other than software version. There is one special tag – latest – which typically points to the layer containing the latest version of software in the repository. This special tag still just points to an image layer, like any other tag, so it can be abused. When using the docker command, a repository is what is specified on the command line, not an image. In the following command, “rhel7” is the repository. When we specify the repository on the command line, the Container Engine is doing some extra work for you. In this case, the docker daemon (not the client tool) is configured with a list of servers to search. In our example above, the daemon will search for the “rhel7” repository on each of the configured servers. In the above command, only the repository name was specified, but it’s also possible to specify a full URL with the docker client. To highlight this, let’s start with dissecting a full URL. A kernel namespace is completely different than the namespace we are referring to when discussing Repositories and Registry Servers. When discussing containers, Kernel namespaces are perhaps the most important data structure, because they enable containers as we know them today. Kernel namespaces enable each container to have it’s own mount points, network interfaces, user identifiers, process identifiers, etc. While, technically, there is no single data structure in Linux that represents a container, kernel namespaces and the clone() system call are as close as it comes. When the end user specifies the Tag of a container image to run – by default this is the latest Tag – the graph driver unpacks all of the dependent Image Layers necessary to construct the data in the selected Tag. The graph driver is the piece of software that maps the necessary image layers in the Repository to a piece of local storage. The container image layers can be mapped to a directory using a driver like Overlay2 or in block storage using a driver like Device Mapper. Drivers include: aufs, devicemapper, btrfs, zfs, and overlayfs. When the container is started, the image layers are mounted read-only with a kernel namespace. The Image Layers from the Repository are always mounted read only but by default, a separate copy-on-write layer is also set up. This allows the containerized process to write data within the container. When data is written, it is stored in the copy-on-write layer, on the underlying host. This copy-on-write layer can be disabled by running the container with an option such as –readonly. The docker daemon has it’s own set of Graph Drivers and there are other open source libraries which provide Graph Drivers such as containers/images which is used in tools like CRI-O, Skopeo and other container engines. There are many types of Container design patterns forming. Since containers are the run time version of a container image, the way it is built is tightly coupled to how it is run. Some Container Images are designed to be run without privilege, while others are more specialized and require root-like privileges. There are many dimensions in which patterns can be evaluated and often users will see multiple patterns or use cases tackled together in one container image/container. Application containers are the most popular form of container. These are what developers and application owner’s care about. Application containers contain the code that developers work on. They also include things like MySQL, Apache, MongoDB, and or Node.js. There is a great ecosystem of application containers forming. Projects like Software Collections are providing secure and supportable applications container images for use with Red Hat Enterprise Linux. At the same time, Red Hat community members are driving some great cutting edge applications containers. Red Hat believes that Application Containers should not typically require special privileges to run their workloads. That said, production container environments typically require much more than just non-privileged application containers to provide other supporting services. Operating System Containers are containers which are treated more like a full virtual operating system. Operating System Containers still share a host kernel, but run a full init system which allows them to easily run multiple processes. LXC and LXD are examples of Operating System Containers because they are treated much like a full virtual machine. It is also possible to approximate an Operating System Container with docker/OCI based containers, but requires running systemd inside the container. This allows an end user to install software like they normally would and treat the container much more like a full operating system. This makes it easier to migrate existing applications. Red Hat is working hard to make Operating System Containers easier by enabling systemd to run inside a container and by enabling management with machined. While many customers aren’t (yet) ready to adopt micro-services, they can still gain benefits from adopting image based containers as a software delivery model. Pet containers provide users with the portability and convenience of a standardized container infrastructure relying on registry servers, container images, and standard container hosts for infrastructure, but provide the flexibility of a traditional environment within the container. The idea is to make things easier to containerize existing applications, such as using systemd in a container. The goal is to reuse existing automation, installers, and tools to easily create a container image that just runs. When building container infrastructure on dedicated container hosts such as Red Hat Enterprise Linux Atomic Host, systems administrators still need to perform administrative tasks. Whether used with distributed systems, such as Kubernetes or OpenShift or standalone container hosts, Super Privileged Containers (SPC) are a powerful tool. SPCs can even do things like load specialized kernel modules, such as with systemtap. In an infrastructure that is built to run containers, administrators will most likely need SPCs to do things like monitoring, backups, etc. It’s important to realize that there is typically a tighter coupling between SPCs and the host kernel, so administrators need to choose a rock solid container host and standardize on it, especially in a large clustered/distributed environment where things are more difficult to troubleshoot. They then need to select a user space in the SPC that is compatible with the host kernel. Linux distributions have always provided users with system software such as Rsyslogd, SSSD, sadc, etc. Historically, these pieces of system software were installed through RPM or DEB packages. But with the advent of containers as a packaging format, it has become both convenient and easy to install system software through containers images. Red Hat provides some pre-packaged containers for things like the Red Hat Virtualization tools, rsyslog, sssd, and sadc. New design patterns are forming as more and more people deliver software with containers. Red Hat engineering is leveraging and driving many of these patterns in the community. The goal of this section is to help highlight and define some of these patterns. These images are what end users consume. Use cases range from databases and web servers, to applications and services buses. These can be built in house or delivered to a customer from an ISV. Often end users will investigate and care about what bits were used to create a standalone image. Standalone images are the easiest kind of image to consume, but the hardest to design, build, and patch. A base image is one of the simplest types of images, but you will find a lot of definitions. Sometimes users will refer to corporate standard build, or even an application image as the “base image.” Technically this is not a base image. These are Intermediate images. These are a specialized form of container image which produce application container images as offspring. They include everything but a developer’s source code. Builder images include operating system libraries, language runtimes, middleware, and the source-to-image tooling. For example, if a developer has PHP code and they want to run it in a container, they can use a PHP builder image to produce a ready to run application container image. The developer passes the GitHub URL where the code is stored and the builder image does the rest of the work for them. The output of a Builder container is an Application container image which includes Red Hat Enterprise Linux, PHP from Software Collections, and the developer’s code, all together, ready to run. Builder images provide a powerful way to go from code to container quickly and easily, building off of trusted components. A container is meant to be deployed as part of a larger software system, not on its own. Two major trends are driving this. First, microservices are driving the use of best of breed components – this is also driving the use of more components combined together to build a single application. Containerized components are meeting the need to deploy an expanding quantity of complex software more quickly and easily. Each of these components can have different revisions, and container images help enable this. Application definitions such as Kubernetes/OpenShift deployments yaml/json, open service broker, OpenShift Templates, and Helm Charts are all making it possible to define applications at a higher level. Second, not all pieces of software are easy to deploy as containers. Sometimes, it makes sense to containerize only certain components which are easier to move to containers or provide more value to the overall project. With multi-service application, some services may be deployed as containers, while others may be deployed through traditional a traditional methodology such as an RPM or installer script – see Pet Containers. But, other components might be difficult to put into containers because they are too tightly coupled to break up, need access to special hardware, or perhaps requires lower level kernel APIs, etc. Within a larger application there will likely be parts of the application that can be containerized, and parts that can’t. Containerized components represent the parts that can and are containerized. Containerized components are intended to be ran as part of a specific application, not standalone. It’s important to understand that containerized components are not designed to function on their own. They provide value to a larger piece of software, but provide very little value on their own. For example, when OpenShift Enterprise 3.0 was released, most of the core code was deployed using RPMs, but after installation administrators deployed the router and registry as containers. With the release of OpenShift 3.1 an option was added to the installer to deploy the master, node, openvswitch and etcd components as containers – after installation, administrators were given the option to deploy elasticsearch, fluentd, and kibana as containers. While the OpenShift installer still makes modifications to a server’s file system, all of the major software components can now be installed using container images. What makes these containerized components is that, for example, an instance of the etcd image built into OpenShift should and would never be used to store data for your customer facing application code, because it is a containerized component designed to be run as part of OpenShift Container Platform. With the latest releases of OpenShift, there is a trend towards more and more containerized components. The containerized component pattern is becoming more and more common and other software vendors are seeing an advantage to deploying as containerized components. As an example, the “image/container type” pattern is used to deploy the logging and metrics in OpenShift. Deploying these components with a deployer container allows the OpenShift engineering team to control start order of the different components and make sure they are all up and running together. An Intermediate image is any container image that relies on a base image. Typically, core builds, middleware and language runtimes are built as layers on “top of” a base image. These images are then referenced in the FROM directive of another image. These images are not used on their own, they are typically used as a building block to build a standalone image. It is common to have different teams of specialists own different layers of an image. Systems administrators may own the core build layer, while “developer experience” may own the middleware layer. Intermediate Images are built to be consumed by other teams building images, but can sometimes be run standalone too, especially for testing. Intermodal container images, analogous to intermodal shipping containers, are images that have hybrid architectures. For example, many Red Hat Software Collections images can be used in two ways. First, they can be used as simple Application Containers running a fully contained Ruby on Rails and Apache server. Second, they can be used as Builder Images inside of OpenShift Container Platform. In this case, the output child images which contain Ruby on Rails, Apache, and the application code which the source to image process was pointed towards during the build phase. When system software is distributed as a container, it often needs to run super privileged. To make this deployment easier, and to allow these containers to start before the container runtime or orchestration, Red Hat developed a special container pattern called System Containers. System Containers start early in the boot process and rely on the atomic command and systemd to be started independent of any container runtime or orchestration. Red Hat provides System Containers for many pieces of software including rsyslog, cockpit, etcd, and flanneld. In the future, Red Hat will expand the list. This design pattern will make it easier for administrators to add these services to Red Hat Enterprise Linux and Atomic Host in a modular way. Containers are quite easy to consume, but when building a production container environment, it shifts the complexity behind the scenes. To be able to discuss architectures, and how you will build your environment, it’s important to have shared nomenclature. There are a lot of pitfalls as you dig deeper into building and architecting your environment. We leave you with a couple of critical ones to remember. People often use the words container image and repository interchangeably and the docker sub-commands don’t make a distinction between an image and a repository. The commands are quite easy to use, but once architecture discussions start, it’s important to understand that a repository is really the central data structure. It’s also quite easy to misunderstand the difference between a namespace, repository, image layer, and tag. Each of these has an architectural purpose. While different vendors, and users are using them for different purposes, they are tools in our toolbox. The goal of this article is to leave you with the ability to command this nomenclature so that more sophisticated architectures can be created. For example, imagine that you have just been charged with building an infrastructure that limits, based on role, which namespaces, repositories, and even which image layers and tags can be pushed and pulled based on business rules. Finally, remember that how a container image is built will have profound effect on how it is to be run (orchestrated, privileged, etc). As always, if you have comments or questions, please leave a message below.